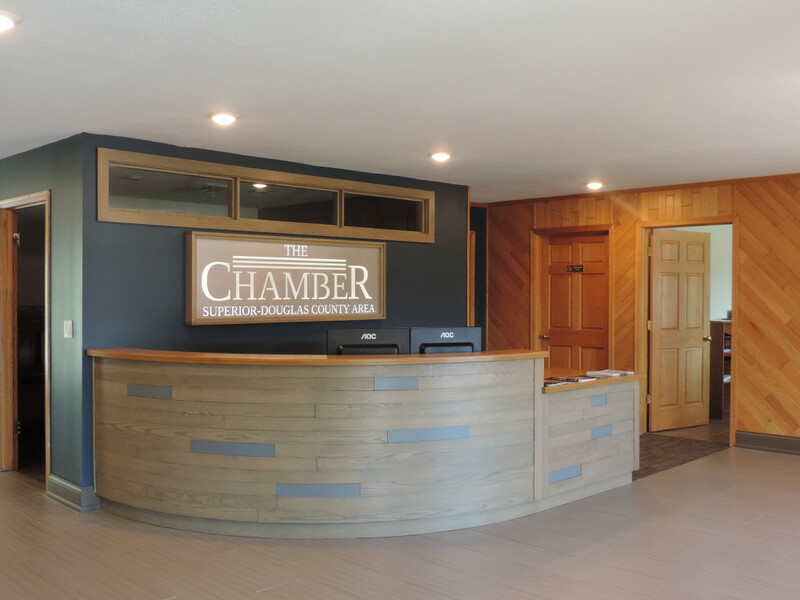 The Superior-Douglas County Area Chamber of Commerce is a non-profit made up of 3 separate entities focusing on business, education, and tourism, The Chamber, The Chamber Foundation, and Travel Superior, the Superior Douglas County Visitor Bureau. An elected board of directors oversees the overall organization as we aim to advance the general welfare and prosperity of the Superior-Douglas County region. The Chamber works daily to advocate and advance business interest and community growth through Superior and Douglas County. We provide our over 400 members opportunities for networking, continued education, and a platform to showcase their business. The Chamber Foundation provides a two-year leadership and workforce development program for 11th and 12th grade students from Douglas County school districts. Through educational programming, unique experiences, and encouraging volunteer opportunities, this program has enhanced the education of over 500 students beginning in 2003. Travel Superior, the Superior Douglas County Visitor Bureau works to promote and market the Superior and Douglas County region as a premier travel destination. Travel Superior operates an official Wisconsin Welcome Center as well as uses mediums such as digital, social media, and print to encourage visitors to our beautiful corner of Northwest Wisconsin. Click here to find out how your business or organization can become a member of The Chamber.